Deedee Ye is the Director of Evaluation Center at Tencent Games. 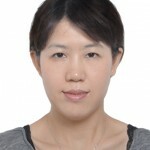 Each year her center reviews and analyzes over 6,500 games on mobile, PC, browser, and other platforms, and is the de facto game knowledge repository for Tencent Games. In addition to producing in depth reports on games and live knowledge sharing sessions, Deedee plays a pivotal role in Tencent Games’ publishing decisions and have been essential in cultivating prominent game producers for Tencent Games.